Rhino Buckets and Attachments has been providing Australian mining, civil, and construction sectors with high-quality excavator buckets and accessories since the early 2000s. Rhino Buckets aims to deliver products that increase customer’s efficiency so they can achieve their optimum growth. 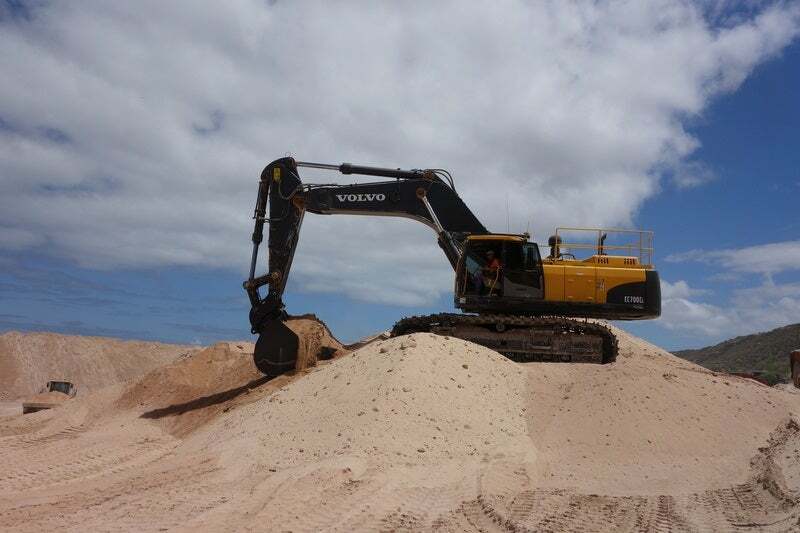 The company has invested in innovative technologies, and incorporates superior materials, cutting-edge technology, and an applicable knowledge of the industry to produce high-performance buckets and attachments. Rhino Buckets works with customers to ensure that they receive a product suited to their project needs. The company offers a full range of custom wear packages and ground-engineering tool (GET) options so products are manufactured according to exact specifications. It focuses on reducing lead-time, so clients can achieve quicker results with minimal downtime. Rhino Buckets prioritises a client’s efficiency to ensure they receive a high-quality product. The Rhino Adjustable System is a patented, exclusive solution for machine owners. The pickup pins can be adjusted to suit any original equipment manufacturer (OEM) in a given machinery class, resulting in a versatile excavator bucket. The solution enables hire companies to carry reduced stock, machinery dealers to offer faster lead-times, and a higher return on investment for mixed fleet operators. The Rhino Adjustable System also carries value beyond the initial purchase. Rhino Buckets’ patented technology allows variable pin centres, dimensions and widths by utilising offset bushes and a rotating housing system, enabling a single bucket to adjust to suit any OEM. The company has ensured minimum and maximum tolerances are established and true across its product range, and has conducted extensive testing to assure this new innovative adjustable system maintains the durability. In 2016, Rhino Buckets and Attachments joined the Trufab Global Group, which has a broad base of divisions such as farm machinery, earthmoving civil works, and equipment hire services. After years of experience, innovation, trials, and use of advanced material, Rhino Buckets and Attachments has patented the latest in innovation, a machinery attachment designed to increase your efficiency. Rhino Buckets and Attachments create tough, robust, and durable buckets and attachments, built to withstand harsh environments.